This collection features a wide selection of original works from the Renaissance, Baroque and Modern eras arranged for piano 4-hands. 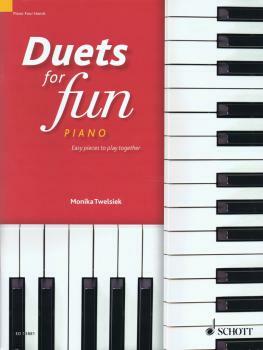 Focusing on easy repertoire, Duets for Fun will provide hours of enjoyment for aspiring musicians wishing to discover new material as well as develop their playing. This collection is ideal for use as teaching material, or for playing at home or in a concert with a friend.